500 MA$BTC 50 MA has crossed over 100 MA in Daily Chart for 1st time since Aug. Ideal Conditions for a Move towards 200/350 MA. 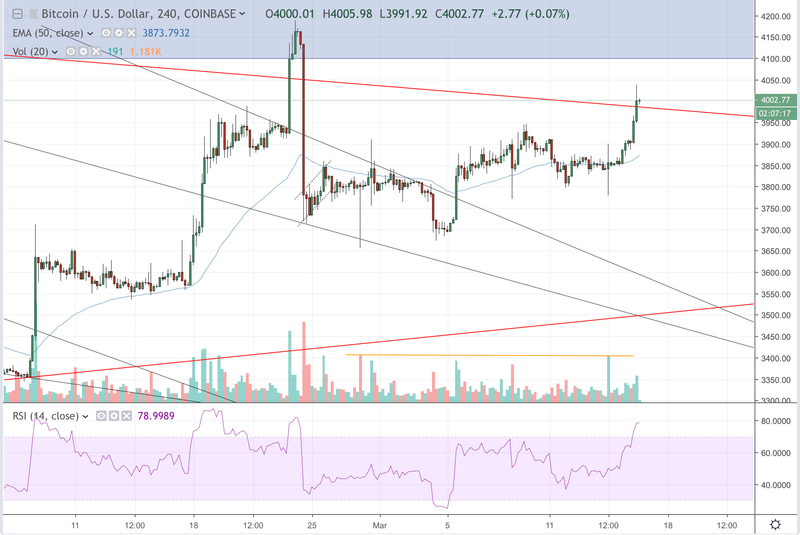 Need big impulse move to confirm breakout pic.twitter.com/2y0z9Kqnzi— Trading Room (@tradingroomapp) March 15, 2019Until that happens, every upside move would end up becoming a bull trap.